Jelenlegi időjárás Fillmoreban – Current weather conditions in Fillmore. Fillmore is a small town in Allegany County, New York, United States. The zip code is 14735. Fillmore is in the Southern Tier region. The community is named for President Millard Fillmore (1850-1853). The Village of Fillmore dissolved its incorporation and became a community in the Town of Hume in the northwest quadrant of the county. 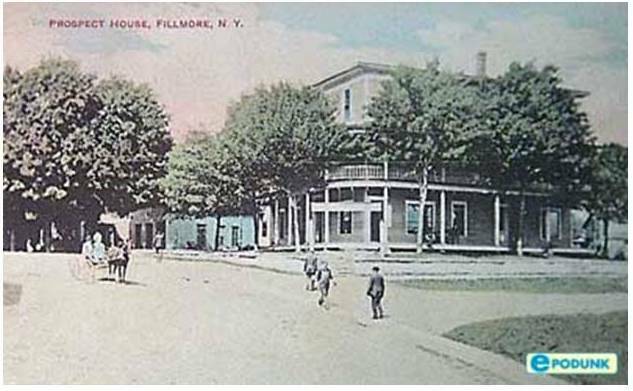 Fillmore is at the junction of County Road 4 and New York State Route 19 and New York State Route 19A. The village is east of Hume and north of Houghton on Route 19 and south of Rossburg on Route 19A. The community is located where Cold Creek joins the Genesee River. It was formerly known as “The Mouth of the Creek”. The latitude of Fillmore is 42.466N. The longitude is -78.115W. Fillmore is near the Town of Granger, the home to the Hungarian Scout Camp which is the main campsite of the Hungarian Scout Association in Exteris. * Demographic data is directly from the 2010 Census.